​Richly illustrated with thousands of film frames, concept art and behind-the-scenes imagery, many previously unseen, Middle-earth: From Script to Screen follows in the footsteps of the Fellowship of the Ring and the Company of Thorin Oakenshield, visiting the realms and landscapes of Middle-earth and uncovering their secrets. Accompanying this stunning gallery, cast and crew reflect upon their experiences, share brand-new stories and insights into how the wildernesses and soundstages of New Zealand were transformed into a magical world of hobbits, Dwarves and Elves, resulting in one of the most spectacular achievements in cinematic history. 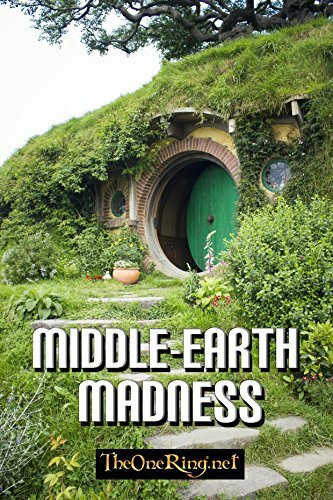 With foreword by Sir Peter Jackson and additional writing by K.M. Rice; illustrated with final film imagery, behind-the-scenes pictures and conceptual artwork, including places not seen in the final films, this monumental compilation offers unique and far-reaching insights into the creation of the world we know and love as Middle-earth. ​It’s all here, with J.W. and a staff of experts breaking down the details and pulling no punches.